208 pages | 9 B/W Illus. Re-Imagining the Museum presents new interpretations of museum history and contemporary museum practices. Through a range of case studies from the UK, North America and Australia, Andrea Witcomb moves away from the idea that museums are always 'conservative' to suggest they have a long history of engaging with popular culture and addressing a variety of audiences. She argues that museums are key mediators between high and popular culture and between government, media practitioners, cultural policy-makers and museums professionals. 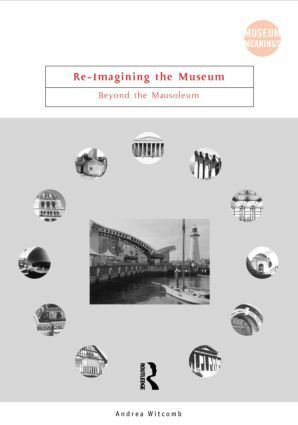 Analyzing links between museums and the media, looking at the role of museums in cities, and discussing the effects on museums of cultural policies, Re-Imagining the Museum presents a vital tool in the study of museum practice.